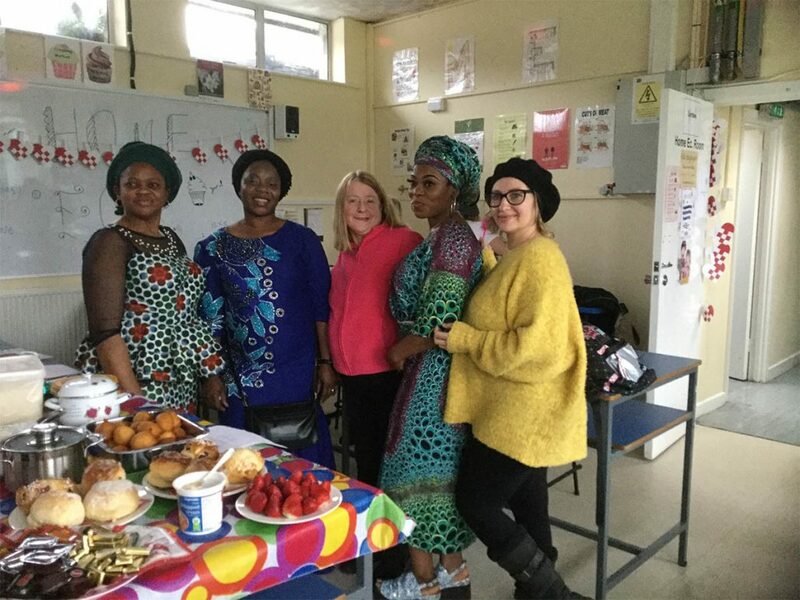 The VTOS students from the Understanding Interculturalism class at Blanchardstown Adult Education Service organised an International Day which took place on 18 December 2018. 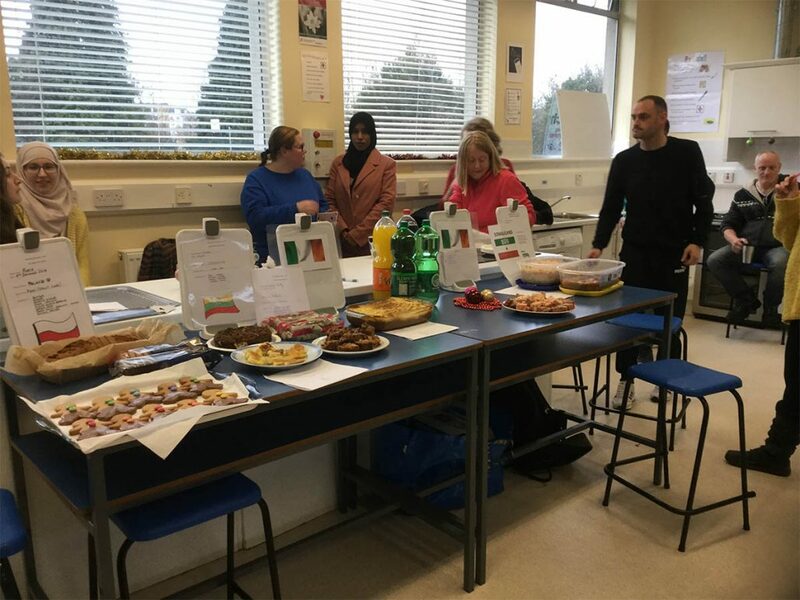 The main aim of the event was to help students and staff experience other cultures. As food is an important component of culture and it often plays a central role in celebrations, it was decided to build the day around this. The room was decorated with a Christmas theme and some students wore clothes which reflected their cultural background. 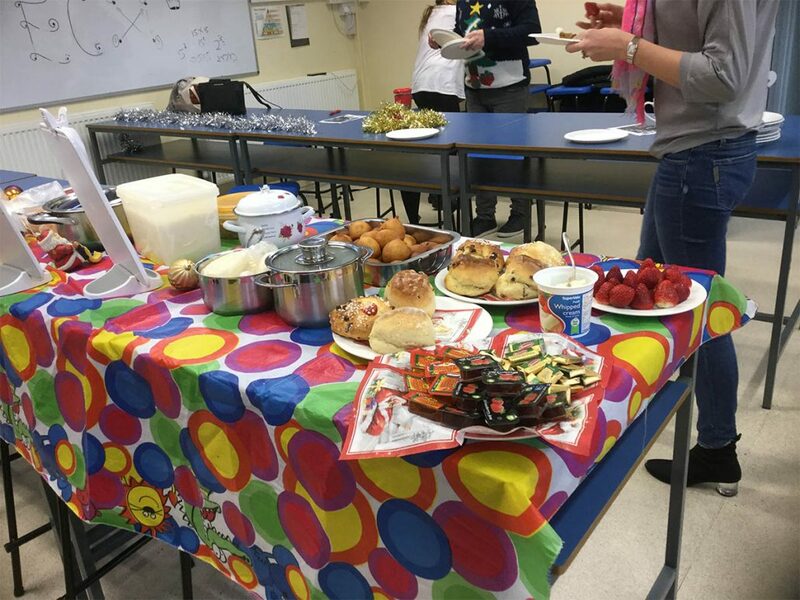 Some of the dishes presented that day were: Irish stew, keks (cake from Poland), dolma (stuffed grape leaves) from Iraq, cheesecake from Lithuania, couscous from Morocco and isku-dhex-karis (a Somalian rice dish). The students who organised the event were delighted with the numbers of people who attended and with the variety of dishes on offer. Everyone agreed it was a lovely way to finish off the year and pave the way for the Christmas holidays! Blanchardstown Adult Education Service is part of the Further Education and Training services provided by Dublin and Dún Laoghaire ETB.